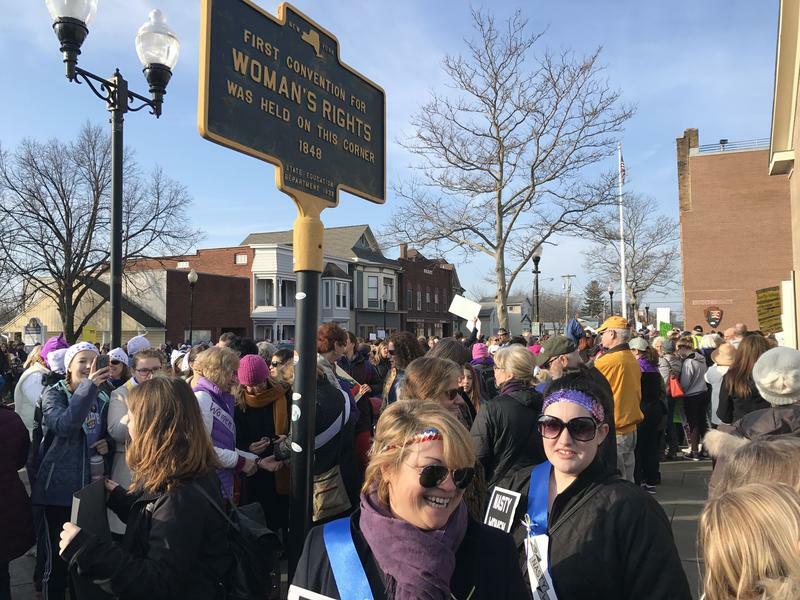 ROCHESTER (WXXI) – Last January, a day after the inauguration of President Trump, an estimated 10,000 people flocked to Seneca Falls for a women’s march and rally. Organizers are planning a similar event on January 20, 2018. Rev. Leah Ntuala, pastor of the First Presbyterian Church of Seneca Falls, says the call to action has not diminished since last year. The 2018 march and rally is called “per-Sisters for Women’s Equality.” it will begin at 10 a.m. January 20 at the Women’s Rights National Historical Park. Ntuala says speakers will call for an end to systemic racism and sexism, violence against women, LGBTQ and disability discrimination and more. The historic significance of Seneca Falls serves as an inspiration for people across our region and beyond, Ntuala said. Organizers of the event have created a Facebook page to track the number of people who plan on attending.